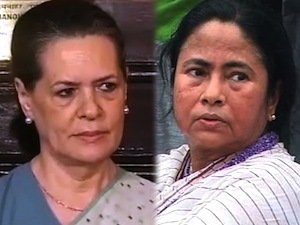 Announcing the decision, Banerjee said, "We will not be in UPA-II. Our ministers will go to Delhi on Friday, meet the Prime Minister and submit their resignations at 3 pm." Last week, the Congress-led UPA government raised the price of subsidized diesel by Rs. 5; allowed up to 51 per cent foreign direct investment in retail, broadcast, and aviation sectors; and announced decision to partly privatize four public sector units (PSUs). Trinamool Congress opposed the decisions, and asked Congress to rollback the decision within 72 hours or else it would withdraw its ministers from the government. It announced the decision to wiredraw after the ruling party declared that it would not rollback any of the recently taken decisions on diesel or FDI. To review the political situation, the core group meeting of Congress will meet today; and Sonia Gandhi is also expected to play a mediating role between the Manmohan Singh's government and Mamata's Trinamool Congress. Analysts are of the view that by demanding of decisions on diesel price hike and FDI in retail, Mamata wants to portray the party as the voice of the poor.